Come and join us at Café Society with the first two our artists in our Spring & Summer, 2019 season. On Sunday 24 March at 2pm Huddersfield Jazz and Café Society are proud to present Kate Peters. Kate is one of the most exciting new performers to come out of the UK. 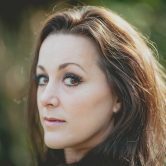 A uniquely talented and versatile vocalist based in the north of England, Kate has worked in a wide variety of styles and areas of the music industry, performing with some of the UK´s most talented jazz musicians. The second of our artists in our season is on Sunday 14 April at 2pm. Huddersfield Jazz and Café Society are proud to present Swing Manouche. Swing Manouche was formed by Mick Shoulder, the leader and songwriter of former gypsy jazz outfit “Djangologie”. 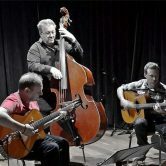 Continuing to work with guitarist Giles Strong, he recruited clarinet and bass players to form a band based upon Django Reinhardt’s second group - the Nouveau Quintette du Hot Club de France.